I think the person who made that used some tool on the original. the thing is, it does not really matter what the orig picture was, as the texture ended up being used as old marble, mostly. Might be worth mentioning this in the progress thread. 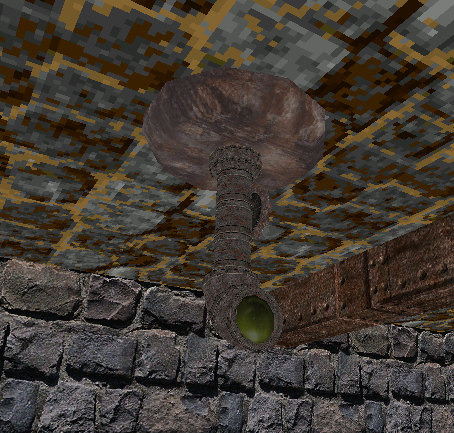 I'm unlikely to remake the texture myself, and the other contributors probably won't see it here. "I don't know if this a resource loading priority bug for NewDark or what the deal is but there are conflicts between water textures when loaded from an FM's own custom \fam\waterhw resources and if you specify one in your mod_path in cam_mod.ini. What happens is that you get like 4/5 frames from the mod_path textures and then 1/5 frames from the FM's custom resources. It looks really jarring. This is fixable by setting whatever water you want displayed as an uber_mod_path, as then you'll not see the FM's custom water textures pop in." Edit: The other possibility is that it will use both types of files (example: .dds files in the EP and .pcx files in the mission) and try to display both, but this really doesn't explain why using uber_mod_path fixes it but using normal loading priorities of FM resources first, mod_path resources second with no uber_mod_path used won't work. I'm leaning towards bug here. A third possibility is that the number of images used to animate the water doesn't match, although again does not explain why prioritizing with uber_mod_path fixes the problem. Last edited by GUFF; 24th Jan 2014 at 08:28. It's not exactly a bug, at least not one new to NewDark - it happens because the number of water frames don't match. The blue water texture used by the EP has 40 frames, while the original animation used 14 frames. If an FM adds its own water textures, but uses less than 40 frames, then Dark will see 40 frames of animation for that texture, with the ones from the FM earlier in the load order, so it will load as many frames as it can from there, but then also load the remaining water frames from the EP. This is because the number of frames in an animated textures in Dark is controlled by whether or not textures with the right filenames exist, and it doesn't care that all of them exist in the same resource location. I'm not sure how to go about "fixing" this. It works with uber_mod_path because that overrides the FM's resources. yeah, not a bug, it just works that way, if you have issues caused by conflicting custom resources, uber mod path should resolve them. It only seems to be a real problem with this specific issue of water, honestly, since so many FMs with custom water tend to be drop-in replacements rather than just their own custom filenames and I guess it works like NV said it does by simply loading all available animation frames from all locations and prioritizing based on that rather than more intelligently loading frames in highest priority only and ignoring frames in lower priority directories. You have to uber_mod_path with something that has equal or greater frames to the custom material to fix this issue, I suppose. Which isn't a huge problem since a lot of older custom water looks pretty ugly especially at high resolutions on today's monitors, but not exactly standard info a player can easily find. A lot of players will run into this issue nowadays, I think. I noticed this issue while replaying some of the excellent water contest missions recently. 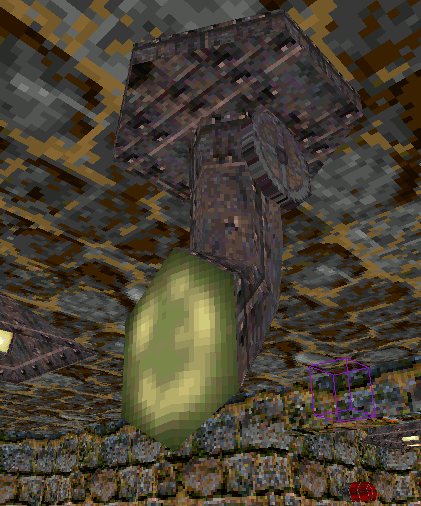 So this is solvable for missions played through NewDark if the texture used is given a material file with ani_frames set. For animated textures only the base/root texture of the animation should have a material file. I guess the problem there with adding that to the .mtl file is the same as with adding fm.ini to load data into FMsel, is that it's not very backwards compatible with existing content i.e. you load an older mission made before it became a good idea to standardize something like that and due to the priority of loading (uber_mod_path > FM > mod_path > base resources) you still have the issue. On a personal level a player who knows all of this can edit the file and add the line but as a sort of overall solution the problem it's not very good. To bad there isn't a way to add something like that to the FM.ini of a specific mission. I think EP2 should just use the uber mod path to avoid this issue. I don't think there would be any negative side effects. If the EP2 itself is in the ubermod path, it would break lots of custom resources in FMs. Really, only the water textures could afford to be. right, custom objects. guess not then. Did one of the texture packs change the shape/size/appearance of the cameras in Thief Gold's Cragscleft Prison? I seem to remember the camera being much bigger and obvious when I played it than it is in this play-through. This poor guy spends almost an hour trying to figure out what is triggering the alarm If the camera is, indeed, smaller in this video than LGS made it, it might be worth taking it back to its origins more, as it being so small and non-descript didn't help his plight. (I think there are a couple cameras like this in the level.) Possibly also even updating it to give it a metal with glass breaking type of sound, rather than the soft, gentle sound heard in this video, and also a replacement texture that shows the glass cracking or something, if that's possible? Maybe even a tiny LED that lights up on it when triggered, like TMA? Or is that going too far for TG purists? Just a thought, as I felt sorry for this guy. He was a good sport about it, I give him an "A" for tenacity and patience, but I think some players would probably just throw the towel in on the game if they experienced the same. I'd hate for that to happen if it is just a result of one of the new texture patches...? as it is much smaller and harder to notice (thus seems to play a lesser role in the alarm being triggered) than when I played. I don't understand why the camera also stops rotating when he tries to time his movement for when the camera is facing away from him. Does it have eyes in the back of its 'head', so to speak? If so, maybe it needs a different design altogether, where it has two 180-degree cameras that cover roughly the whole 360-degrees, or something? Or if sound also triggers it, maybe it can be made slightly more evident? I haven't played Thief Gold for a while, so forgive me if I'm off-base with anything. I also don't know what texture patch he's using, so I'm not sure if this is a good thread for this; I just wanted to mention, in case it hasn't been noticed as a potential problem before. Was the original any more prominent? It looked like a giant, featureless tube. The new one at least looks like a periscope. Changing the sound or making it reflect damage would require game changes, and are probably beyond the scope of the EP. I'll brighten up the lens a little. I also made a "broken" version with a smashed lens, but I'll leave that for someone else to rig up. Looks like one of these wall textures is the wrong color. Or the thing needs to be re-optimized. The problem appears to be level design based; they've for some mystifying reason used the core family stucco instead of the matching ancient family one. 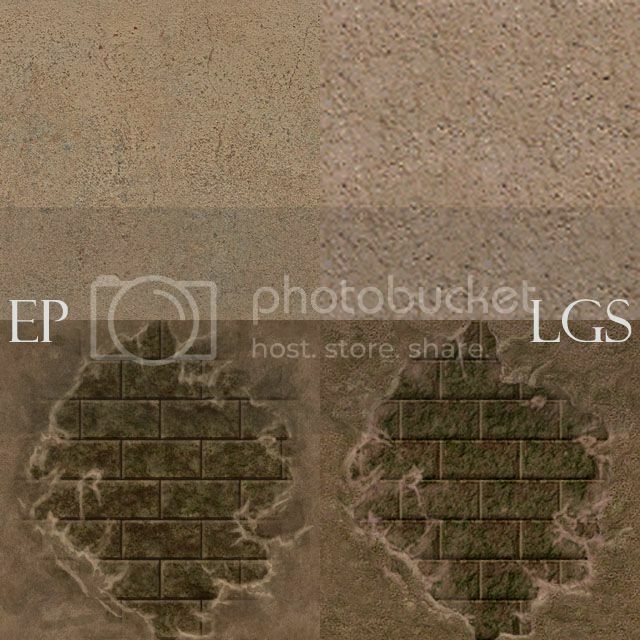 if there is a matching texture, this will be TFixed.